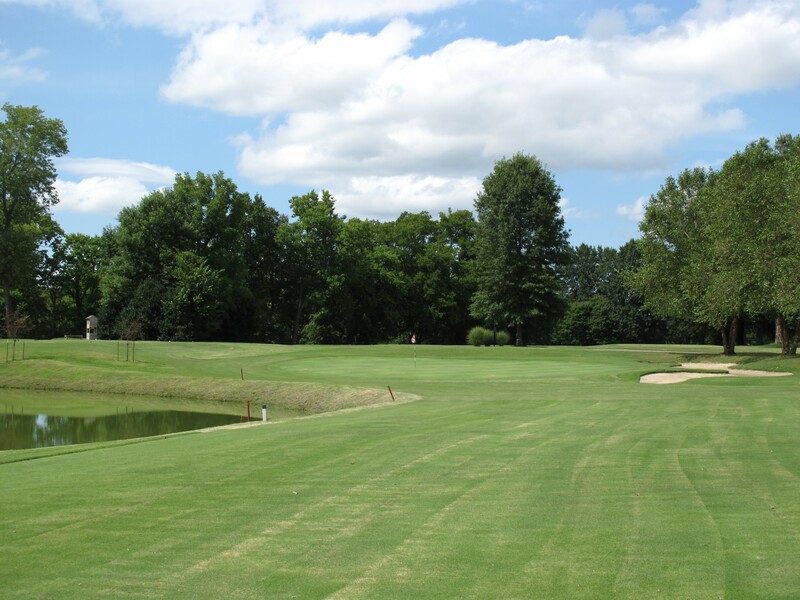 Graymere Country Club was founded in 1926 as a nine-hole golf course. In 1965 a second nine was added. Situated on a tight, tree-lined property, I have worked with the Club to create a long-term Master Plan for improvements to the course. 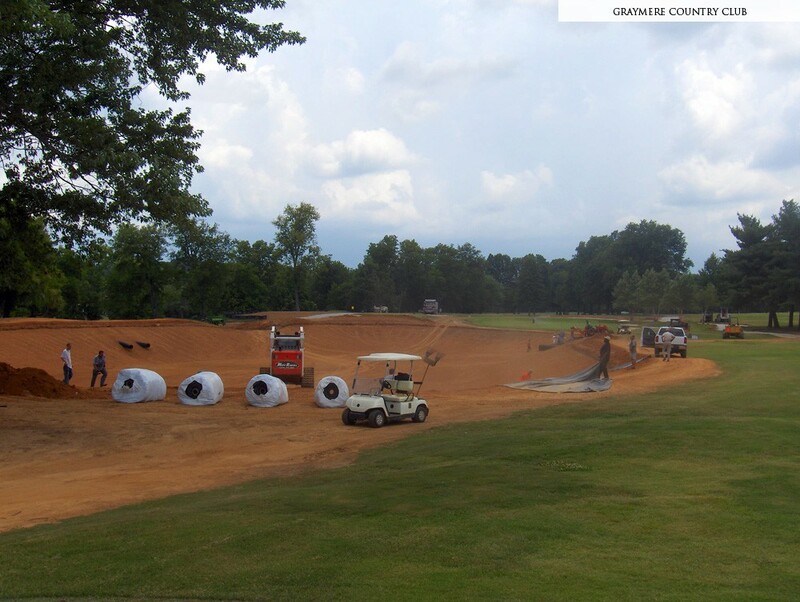 Projects undertaken to date include enlarging and lining the irrigation pond, re-grading two fairways, adding and enlarging tees, adding vital storm drainage and installing wall to wall cart paths. Irrigation is the lifeblood of a golf course. Unfortunately, at Graymere Country Club, the irrigation pond was undersized and often developed fissures in the subgrade that allowed irrigation water stored in the pond to leak out. 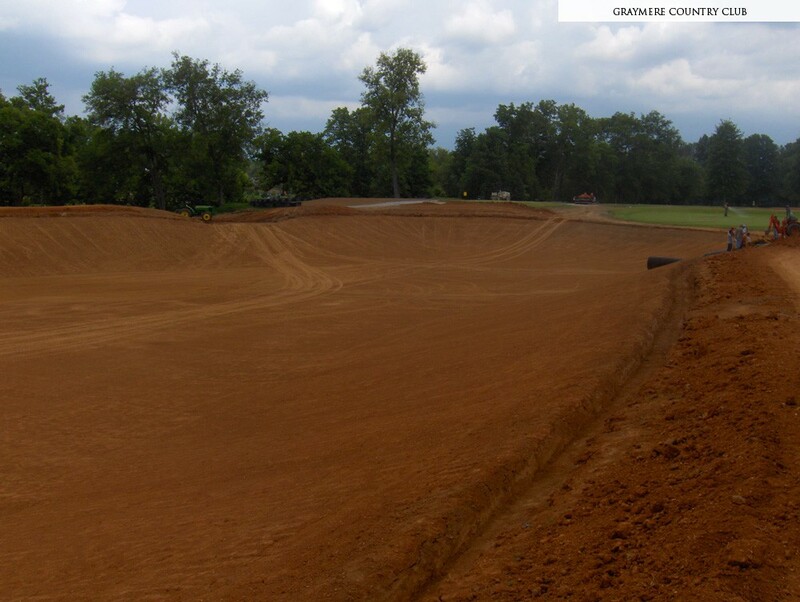 A major piece of the year 2008 renovation at Graymere was to enlarge and deepen the irrigation pond and line it so that it would never leak. This was a major undertaking as the base of the pond contained a lot of rock which had to be removed. 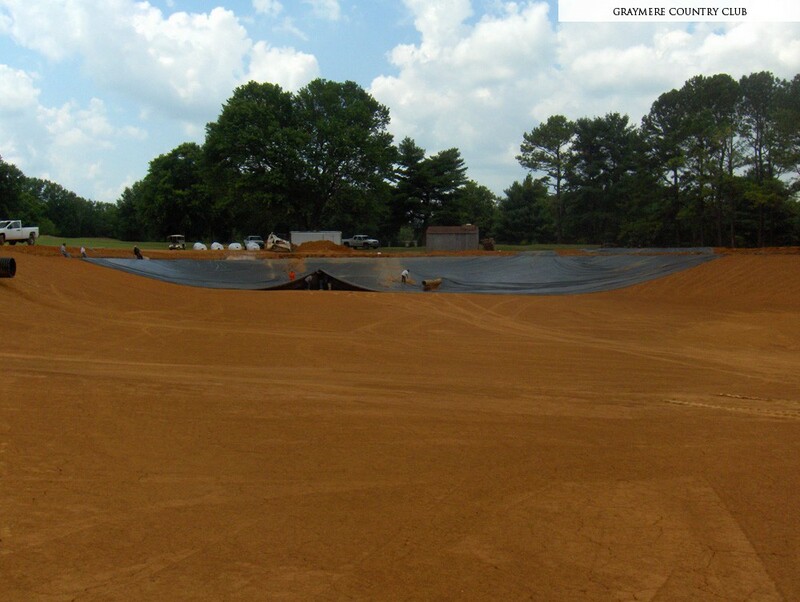 Once the rock was removed, the bottom of the pond was plated with soil, smoothed and graded, then lined with PVC. The par four, 5th hole at Graymere has a tight landing area, with the irrigation pond down the left side. Players have the option of laying up short of the pond, leaving an approach of at least 150 yards, or taking on the pond to gain a shorter approach.